* 1. Which organization/business are you representing? * 2. What is the telephone number and street address? * 3. What is the website address? * 8. In what neighborhood is your facility located, or most closely located? * 9. In terms of cultural space, what is the primary discipline your organization/business supports? * 11. Do you rent or own it? * 12. If you rent, what is your site control (through) date? This includes the years left on your lease plus options to renew. * 15. How many previous facilities has your organization/business occupied? * 16. If you have a movie or performance theater, how many stages does your facility contain? * 17. Within your stages or theater(s), how many total seats in each? * 18. Does your facility contain any visual art galleries? * 21. How many parking spaces do you have? * 22. Does your facility have street frontage? * 23. Is there rental space available within your organization/business? * 25. 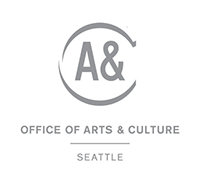 Are you funded by Seattle's Office of Arts & Culture? We have been, but are not currently. * 26. On a scale of 1-5 with 1=very uncertain and 5=very stable, what is your stability index in relation to losing your current facility? * 27. Is 50% of your constituency specific to one race? If so, which one? No single race is more than 50% of our audience. * 28. Would you like to receive email updates from the Office of Arts and Culture about cultural space?